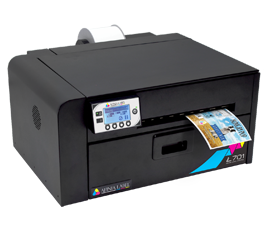 There’s a new entry level color label printer on the market, the Afinia L701. Powered by Memjet technology, the L701 color label printer offers almost everything you love about the Afinia L801 color label printer, but at a lower price point. It uses the same 8.5-inch page-wide, fixed Memjet print head to delivery impressive single-pass print speeds at 8 ips and vibrant, full color labels using Memjet dye inks with excellent print quality. It’s not quite as fast as its sibling (12 ips); however, it is still super fast when compared to any other printer in the entry level market. The L701 comes with 150 ml ink cartridges instead of the larger 250ml ones found in the Afinia L801, so its ink costs aren’t quite as low. That said, the Afinia L701 isn’t intended to compete with the L801, but rather be an affordable, high quality entry level option. Small businesses in Canada considering the Primera LX2000 ought to consider the Afinia L701. It will deliver a better experience and save you a lot of money every year. How Does the Afinia L701 Compare to the Primera LX2000? There’s really no comparison between the two; the Afinia L701 is the clear winner, but here’s how the two stack up against each other on several important factors. Price — These two color label printers are in the same general price range. The Primera LX2000 is currently $4859 CAD while the Afinia L701 is $6795 CAD (Promotional Price). Don’t let that $1,936 price difference stop you though, because the ink costs on the Afinia are dramatically lower. You’ll make up the price difference in a matter of months and, depending on label volume, save potentially thousands of dollars per year in ink. (See the ink cost comparison below.) Not only that, DuraFast Label Company is offering $1000 in free labels with the purchase of the Afinia L701 from our website. With the $1000 free label discount, your cost difference is only $936 dollars. Print speed — You’ll get a much faster label printer with the Afinia L701 which prints 6 inches per second in high quality mode compared to the Primera LX2000’s dismal 0.8 inches per second. The speed difference translates into improved productivity and more labels printed per minute, hour, day, and week. Primera recommends that you print the LX2000 in normal mode, which is 1.8 inches per second. If you print the L701 in the same quality, it will fly at 8 inches per second. However, when you are purchasing these two printers, you really want to print in the best quality mode so that you can produce the best quality labels. Print capacity — The Afinia L701’s unwinder holds up to 8-inch outside diameter (OD) label rolls while the LX2000 only hold’s 6-inch OD label rolls. Print quality — These two label printers use different ink types, resulting in a visible difference in print quality. The dye-based Memjet inks of the Afinia L701 produce bold, vibrant colors. In contrast, the Primera LX2000 uses pigment-based inks, which tend to produce more muted colors. Label Materials Versatility — Since the Afinia L701 accepts label media as wide as 8.5 inches, and the LX2000 is limited to a maximum width of 8.25 inches, the Afinia L701 works with more standard size 8.5-inch label rolls, including 8.5-inch continuous label rolls which can be used to print standard 8.5” x 11” sheet labels. You can also use the L701 as a label press, which is not possible on the Primera LX2000. Ink Expenses — The Afinia L701 uses larger ink cartridges and Memjet technology to bring down the cost of ink — one of the most important factors affecting the total cost of ownership of any printer. The Memjet ink cartridges contain 150ml of ink each whereas the LX2000 ink cartridges contain just 20ml. How Much Will You Save in Ink Costs with the Afinia L701 over the Primera LX2000? Earlier we mentioned potential ink costs savings in the thousands of dollars per year range. Here’s how we came to that conclusion. Primera LX2000 inks – Primera LX2000 ink cartridges contain just 20ml of ink each. It costs about $250.5 for a full set of LX2000 inks which have a total capacity of just 80ml. That’s about $3.13 per ml of ink. Afinia L701 inks – The Afinia L701’s five ink tanks contain 150ml of ink each for a total capacity of 750ml. A full set of L701 ink tanks will cost about $1485, or $1.98 per ml of ink. You would need to purchase about 10 complete sets of Primera LX2000 inks to equal just one set of Afinia L701 inks. 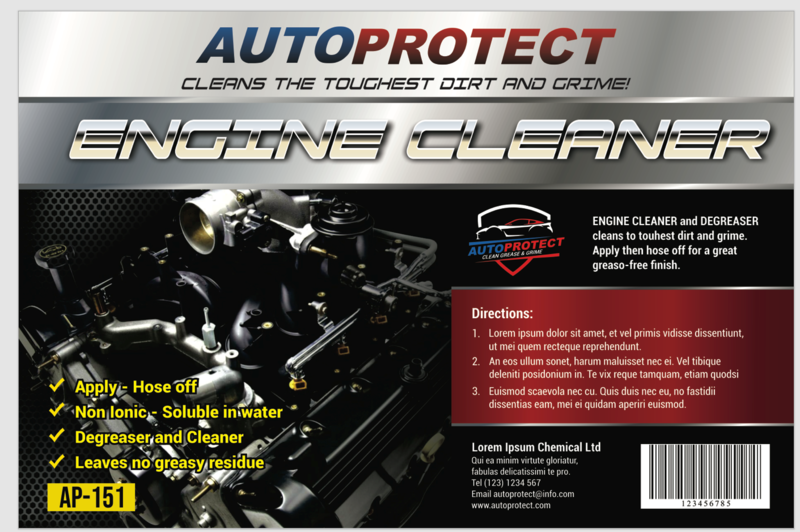 Next, we used a sample 4” x 6” color label as shown below, printing it on both the L701 and the LX2000 and calculating the per label ink cost on each of the printers. That $0.1755 per label difference adds up quickly. For example, if you will be printing 5,000 of these labels per month, then the LX2000 will consume roughly $877.50 more in ink every month. That’s over $10,000 more that you will have to spend on ink every single year to print this label. Would you rather spend about $936 more one time to buy the L701, which is a superior label printer on many levels, or spend a similar amount every single month for years to come because you didn’t do the math? We’ll do the math for you! Simply send us your label design file and we’ll determine the true ink costs for it on both of these label printers. We’ll also print your design on both printers and mail you the printed labels so you can see the quality difference for yourself. *7 days after your printer is shipped to you, you will get an email from Verified Reviews to do a review on DuraFast Label Company and also this Printer. Once both reviews are done, we will credit your online account $100 towards label purchase.